Hiring marketers is often hard for startups. In many cases the existing team is made up of technical co-founders and developers. There isn’t a lot of bench depth on the marketing and PR end of the business, and it is hard to hire people for a position you aren’t proficient in. What should you look for? What skills are must haves? What about personality? A good way to start is a solid job description (we’ve provided a template below) that can be posted on your website and hopefully shared via social media. Great companies, even young ones have fans that will promote your post among their peer group. Why Hire a Marketing Coordinator? 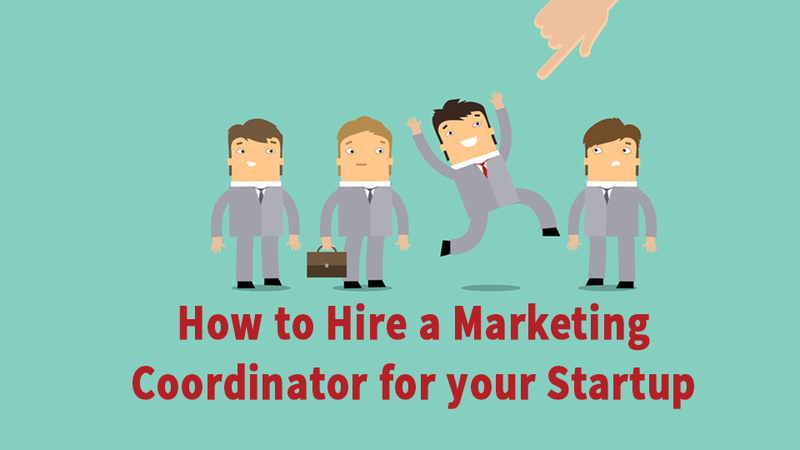 My recommendation for startups, especially those that are pre-revenue and bootstrapping, is often that they hire a marketing coordinator, then lean on advisors and outsourced help (more on that here) for high level strategic air cover. It is great if you can snag a VP-level marketer early on, but often they’ve managed people so long they have a tough time migrating back to being in the trenches. What most startups need is fast execution – not 12 month plans. It sometimes just isn’t a great investment to pay CMO or VP salaries, when what is needed is keyword research, a lot of social media activity and some basic programmatic ad campaigns. So without further ado, here is a job description template for hiring a Marketing Coordinator at a startup (although really, it is suitable for most SaaS companies). You can copy and paste this, or use the link at the end of the post to download our free Hiring Template pack, which includes job descriptions for a variety of sales, marketing and support positions. You might also want to check out our New Hire Checklist for Startups. Insert paragraph about who the company is. Insert paragraph about how fast you are growing and why you need to hire. We are ramping up for additional growth and as such are looking for a Marketing Coordinator to join our team. This person will play an integral part in creating and implementing insert your company name’s marketing plan. In this role, you will be expected to help coordinate insert your company name’s marketing activities, including: content creation, social media activities and website management. Generate content for insert your company name’s digital channels, including blog posts, case studies and ebooks. Coordinate key marketing activities including: SEO, advertising, email marketing and trade shows. Report on, provide analysis and implement ongoing optimization of marketing channels. Research, identify and implement new online traffic and customer acquisition/conversion opportunities. Manage relationships with outside vendors like advertising agencies, website production companies and others as needed. Maintain insert your company name’s marketing plan, with a focus on high growth revenue and ROI for marketing costs. Minimum of 2 years experience in a marketing or public relations role. Experience writing and creating content in a professional setting. A self-starter with effective project management skills. Bachelor Degree or college diploma in marketing, communications, public relations or a similar field. A well developed sense of humour. Experience using insert your CMS, Marketing Automation and other platforms is an asset. Experience working in or with the insert industry is an asset. This is a unique opportunity to work in a rapidly growing, fast-paced organization with a seasoned management team who have been there before. We offer a casual work environment with our head office located in insert location, competitive compensation, commissions and a comprehensive benefits package. Submit a resume and cover letter via email to insert email address here. There are of course pros and cons to hiring an eager, young person with a low level of experience. The biggest pro is obviously salary. The primary con is that they don’t know a lot and you don’t know a lot, so they aren’t likely to learn as quickly as you might like. This is a big handicap. Employees with 1-3 years of experience really need coaching and mentoring; if you do hire someone like this and don’t have inside expertise, have a mentor ready to help them. Otherwise you will stunt their growth and the value they can provide for you in the long run. Download the SaaS Hiring Job Description Template pack here. It includes job descriptions you can easily customize for your company for positions like Marketing Coordinator, Customer Success Manager, Lead Generation Team Member, Sales Executive and Sales Team leader.